While you might be able to find a few free Premium WordPress themes here and there, you will quickly find that these tend to be limited in what they can offer. They might not have all of the features and options you want, and they likely have little to no support. Free certainly does not always mean good when it comes to themes. Therefore, you will want to take the time to start looking for some better quality premium WordPress themes. 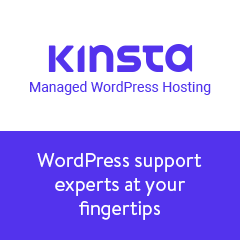 Of course, when you buy WordPress themes, you need to make sure you are buying through reputable sites, and that the theme is worth your money. We’ve compiled a list of the three best places to buy Premium WordPress themes. It’s time to learn more about these sites so you can start searching for the perfect theme for your website with confidence. One of the most popular and trusted companies from which you can buy Premium WordPress themes today is MyThemeShop. The site offers a wide range of different sorts of themes that can work for many different styles of websites and blogs. They have themes that are well-suited for business, as well as those that are ideal for online magazines or blogs. In addition, they have WooCommerce themes for those who plan to be selling online. Several of the widespread themes available through the site include Yosemite, which is a blog theme, Schema, which is another blog theme, Best and Video, both of which are magazine style themes, and OnePage, which works well as a business theme. MyThemeShop offers quite a few other features and benefits for their customers, as well. All of the themes have a quality options panel that is easy to use so you can quickly customize your site just the way you need it. They offer narrated tutorials, so you can learn how everything works, they have shortcodes included with all of the templates, and you will have an unlimited range of colors, as well as unlimited background options, on all of the themes. They offer built-in add management, Google fonts, social buttons, around the clock premium support, and so much more. At ThemeForest, you can buy Premium WordPress themes that work for your personal site business site, and any other types of site you might be able to imagine. You can find blog themes, magazines, ecommerce, entertainment, real estate, education, nonprofit, wedding, and so much more. New themes are constantly added, and you can find well over 10,800 options for WordPress today. Some of the popular themes available through ThemeForest include a multipurpose theme called Pearl, X, Enfold, Avada, The 7, BeTheme, Jupiter, UDesign, and Karma. At ThemeForest, you can also find a range of web design tutorials, which can help ensure you are getting your site set up right. They also have WordPress tutorials available. ThemeFuse is another one of the most respected names in this field and with good reason. ThemeFuse is known for having beautifully designed themes that are sure to catch the eye of your visitors without distracting them. You can quickly and easily customize their themes with powerful features, and all of the purchases through the site come with access to the help desk. If you have a question or a problem with the theme, you can find the answers you need. Themes offered through ThemeFuse include AutoTrader, Moves, Have, Philanthropy, the Core, Yoga, and Reel Story. Keep in mind that these are just a handful of the many fantastic themes they have available. Why Choose to Buy a Premium WordPress Theme? With the large number of free themes available, you might still be wondering why you would want to consider buying a premium theme. One of the biggest reasons is quality. You will find that the quality theme shops, such as those listed above, ensure the quality of the products they sell, and they stand behind those products. In addition, it tends to be easier to find themes that are unique and that are highly customizable. When you buy Premium WordPress themes, they are typically responsive, and they are highly functional. This makes them easier for you to use to create your site, and easier for your visitors to enjoy when they land on your site. Buying themes is also safer. Some of the free themes floating around out there are loaded with malicious code that could expose your site, and potentially the visitors, to online dangers. The premium themes are updated, and they have support. The free themes typically don’t have either of these things. So, take the time to peruse these three best places to buy Premium WordPress themes and find the ones that will work well for your business.